Posted on October 6, 2017 by Matthew Leib. This entry was posted in Faculty Friday, Spotlight and tagged Faculty Friday, Spotlight. Bookmark the permalink. Most enter graduate school with a clear vision of their intended path of research. William Streitberger decided to follow his nose. “I loved the look, the feel, the smell—everything,” Streitberger, a professor of English at the University of Washington, says of time spent among sixteenth and seventeenth century tomes as a graduate student at the University of Illinois’ Rare Book and Special Collections Library. Housing more than 5,800 volumes of Elizabethan literature amassed by Thomas Whitfield Baldwin, a scholar of “copious and exhaustive learning,” the collection offered no shortage of sensory stimuli. Returning early each morning to read more, the young Streitberger soon found he shared Baldwin’s fascination with how Shakespeare’s development as a dramatist was influenced by the context of the Tudor era he would later come to define. He soon found an answer—or, at least, a scrap of a clue—in a footnote in one of Baldwin’s works. The manuscript in question was written by Edmund Tilney, Master of the Revels and Censor of Plays beginning from his appointment as acting master in 1578 to his death in 1610—a period spanning most of Shakespeare’s working lifetime. As Master of the Revels, the position at the English court who oversaw entertainments put on for the crown, Tilney wasn’t just a censor of work; he also produced all the plays performed before the Queen—auditioning and selecting them as well as making changes to suit them given occasions. But even while Tilney’s censorship restricted the creative choices of playwrights and acting companies, his support protected them from hostile detractors in the civic sphere, allowing the form—and a select few sponsored theatre companies—to flourish and develop. Plays brought an added benefit for Tilney in his role: they were more popular and cheaper to produce than elaborate court masques that called for expensive costumes and intricate set pieces. At that early stage of scholarship, Streitberger’s questions swirled. Sensing he was onto something “really important,” Streitberger immediately called up the manuscript. However, once he had it in hand, he was faced with another problem: he couldn’t read it. It was written in Secretary script, a looping style of handwriting that arose in the early sixteenth century from a need for a universally recognizable script for use in long-distance business and personal communications. Not wishing to abandon such a promising vein of scholarship, he realized he was left with no choice but to teach himself to read the complicated script. The decision set Streitberger on a trajectory that would not only make his career, but also define it for the better part of the next five decades. He edited a portion of the Tilney manuscript for his dissertation, which won a Woodrow Wilson Dissertation Fellowship and landed him a job at the University of Washington. 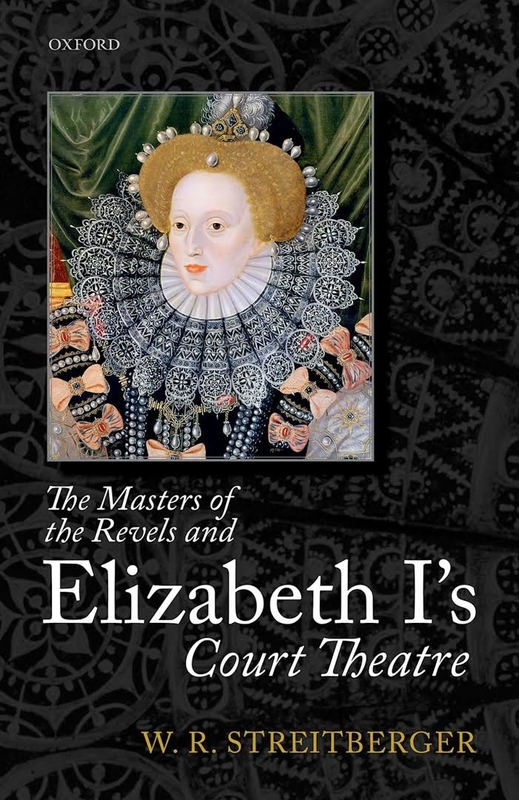 The Masters of the Revels and Elizabeth I’s Court Theatre, Oxford University Press, 2016. Streitberger is the recipient of the 2017 David Bevington Award, bestowed each year to the author of the best new book in early drama studies by the Medieval and Renaissance Drama Society. When it came to filling in gaps in the research, the pace was often slow going—requiring years of painstaking research. Before proceeding further toward uncovering the potential impact Tilney’s role as the Master of the Revels had on Shakespeare’s creative development, Streitberger effectively had to start at the beginning, constructing a comprehensive picture of the Elizabethan court from the ground up. In annual trips to England, he examined thousands of documents and financial records from the late fifteenth to early seventeenth centuries at the National Archives of Great Britain, the British Library, Folger Library as well as local archives and private manuscript collections dating from the period. Each book he published on the subject over the intervening years marked a stepping-stone toward his ultimate goal—finally realized in 2016 when The Masters of Revels and Elizabeth I’s Court Theatre was published by Oxford University Press. In the book, Streitberger produces detailed portraits of Tilney and the masters who preceded him, tracing their tribulations and triumphs with a steady hand. Perhaps his most impressive is the book’s first appendix: a “Calendar of Court Revels and Spectacles” that distills court entertainments down to the day for a period spanning November 1558 to May 1603. A simple chronology of this kind would be a landmark of scholarship on its own, but Streitberger introduces a depth of detail only possible through decades of devoted archive hunting. Details abound: from the “green damask cassocks” of eight torchbearers present at festivities of May 25-26, 1559 to the 100 shillings Tilney charged for “boat hire and other expenses” incurred at the end of the 1579-80 revels season when he was still only serving as acting master. Reading through the text one gets the sense that if there is a single coin amiss, it’s the result of an error of accounting on the part of the Elizabethans and that the incongruity wouldn’t have gone unnoticed under Streitberger’s watchful eye. It’s this impact of economics rather than politics on plays’ production that Streitberger found most surprising in the course of his research. Under Tilney, the Revels Office was transformed into a business enterprise funded as much by ticket sales at London theaters as it was by patronage from court. In the course of his duties as the Master of the Revels, Tilney effectively became the world’s first executive producer, working especially closely with Shakespeare’s company after 1594 to produce plays at court. So what, then, does this tell us about prevailing perceptions of Shakespeare the man? The process of producing a play, Streitberger says, was caught between the ritualized gift-giving economy that predominated at court and a burgeoning early modern capitalist economy that fed on plays’ popularity with the public. The literary relationship with the past was even different. It’s not that Streitberger’s not impressed; rather, he cautions that we temper romantic views of the Bard of Avon with the realities of the era in which he lived. Shakespeare, it would seem, was as much a product of his times as he was an influence upon them, so if we’re to call him remarkable, then it’s only fair to ascribe some credit to the remarkable environment and professional influences that produced so towering a talent. 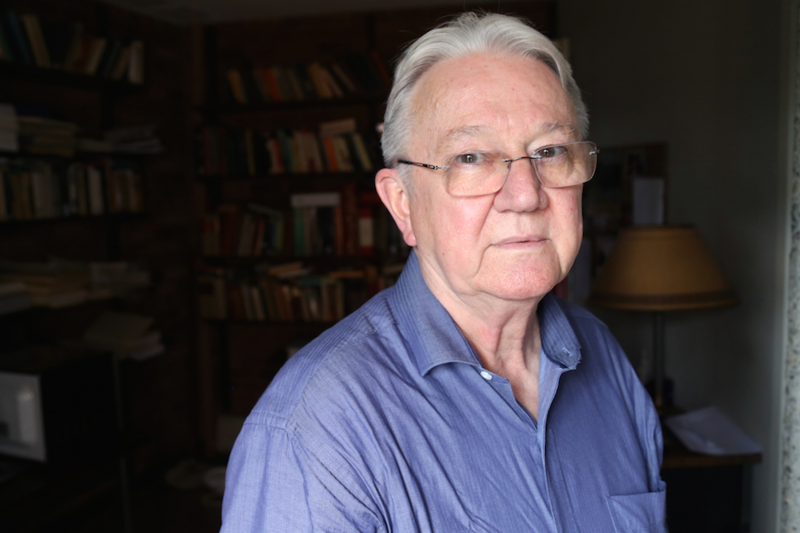 For his part, he admits he enjoys playing academic gadfly to other literary scholars and historians of the period and says that, moving forward, there’s much that needs revisiting. Streitberger plans to do his part and has been hard at work on his next book for the past year and a half. He’s tentatively titling it, Shakespeare’s Censor. When one knows the players as well as Streitberger, it would reason they deserve the encore performance. William Streitberger holds a B.A. from the University of Kansas and an M.A. and Ph.D. from the University of Illinois. I think you enjoyed this topic! Interesting stuff to spend a whole career on.